An Excellent Canadian made double hollow ground reed knife with leather sheath. The medium knife, Landwell's best seller of double hollow ground knives, takes on a burr which is quite flexible. It is easy to sharpen and is Landwell's most general purpose knife. 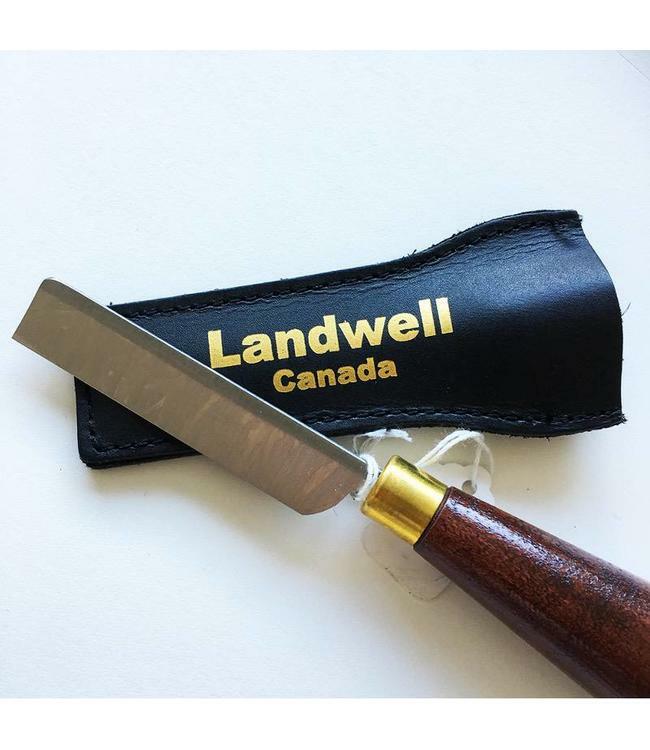 A sturdy wooden handle and protective black leather sheath protect Landwell's high-quality blade. Select Right-Handed or Left-Handed; Hard, Medium or Soft Steel.